Two prestigious awards come our way! 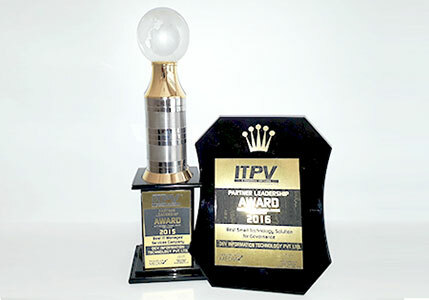 Mr. Pranav Pandya (Co-founder and Chairman – DEV IT) was conferred “Business Leader Award” and DEV IT was awarded “Best Smart Technology Solution for Governance” at ITPV Partner Leadership Awards, 2016 DEV IT was recognized for its efforts, commitment and excellence towards playing a pioneering role in the growth of Indian IT Sector and as a company that have the highest standards of competence, leadership, and accomplishment in IT Industry. Yet another milestone conquered in our journey towards excellence; an award that celebrates our everlasting spirit of sheer dedication and client 1st attitude.